Lehigh Valley Physician Group (LVPG) is among the largest medical groups in the United States. More than 700 physicians and more than 300 advanced practice clinicians represent 47 medical specialties in more than 140 practices in the Allentown and Bethlehem areas. LVPG practitioners perform approximately 2 million visits annually in our practices, hospitals and other affiliated locations. Meet more than 140 of them by watching videos that capture their passion, personality and expertise. LVPG was founded in 1993 as a not-for-profit subsidiary of Lehigh Valley Health Network (LVHN), one of the largest health systems in Pennsylvania. 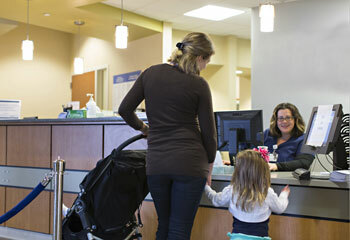 LVPG began as the faculty practice plan for LVHN, initially comprised of 24 physicians. The last decade has seen enormous growth in both medical practitioners and specialty practices. LVPG’s health care professionals are working together to deliver care in increasingly innovative ways. Our practice names are changing to follow a standard format. LVPG is a physician-led organization with a dyad leadership model that pairs physician leaders with administrative leaders. As LVPG’s health care professionals continue to provide excellent care, an increasing focus is placed on quality metrics as they relate to population or community health. As a result, processes for the consistent collection of data are now standardized throughout LVPG practices. Our providers meet as a group each month at Lehigh Valley Hospital-Cedar Crest, providing a forum for collegial networking as well as an opportunity for discussion of current initiatives. The average attendance exceeds 500. We heal, comfort and care for the people of our community by providing advanced and compassionate health care of superior quality and value, supported by education and clinical research. Meet the LVPG executives and department chairs and LVHN leadership. Our network also has earned recognition from AARP as one of America's safest hospitals, has been named one of Becker's Integrated Health Systems to Know, and was a Computerworld 2013 Best Place to Work in IT. LVHN is an accredited member of the Association of American Medical Colleges’ (AAMC) Council of Teaching Hospitals and Health Systems (COTH), and LVPG plays a primary role in our educational mission. More than 170 LVHN clinicians are involved as faculty in the SELECT (Scholarship Excellence, Leadership Experiences and Collaborative Training) program. SELECT is a medical school program created jointly by LVHN and the University of South Florida’s (USF) Morsani College of Medicine in Tampa, Fla.
Students spend their first two years at USF learning in a highly progressive, student-centered medical school, then move to LVHN for their final two years of training, learning inside a technologically advanced health network that's recognized nationally for quality, safety and collaborative care. LVPG physicians and clinicians make up the majority of the SELECT faculty, leading the way in this trailblazing effort designed to shape a bright future for health care.